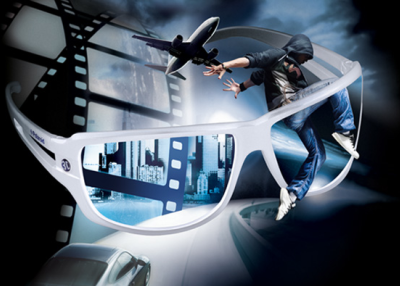 Polaroid Eyewear has confirmed the launch of the first two styles in its Professional 3D Eyewear Collection. The Polaroid Professional 3D Collection, which uses passive circular polarisation, has been specifically created for 3D professionals and producers of 3D content. These first two styles both have interchangeable lenses, meaning that after work, professionals can simply change the lenses and use them as sunglasses. The frames are produced using premium quality materials making them both lightweight and robust. The lenses are produced using Thermofusion technology, which is exclusive to Polaroid Eyewear and ensures distortion-free vision.